You have 3 possible answers to this one (technically 4) so someone should get this fairly fast. I've seen that mask in, I believe, a trailer for Virgin Witch. 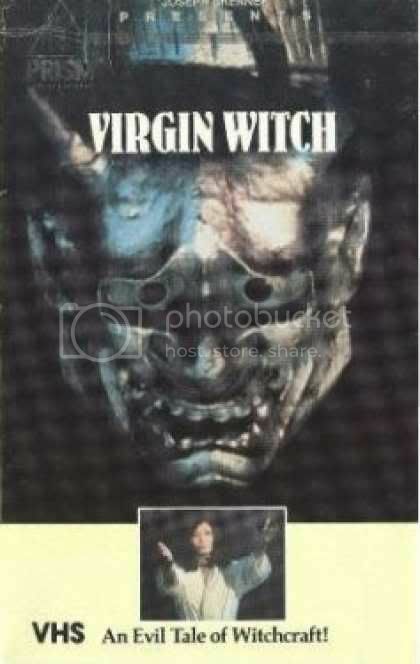 Admittedly very similar, but, no, not "Virgin Witch". Wrong continent. It looks a bit like that magical ray-gun Dracula ring 'Zandor Vorkov' wore in DRACULA VS. FRANKENSTEIN. It reminds me of something I've seen in a Japanese film. Maybe. Maybe not. Nope. Still the wrong continent. Hint: imdb.com gives two listings for this thing placing it in either 1982 or 1987. They don't seem to know for sure, and the film (films?) don't seem to know either as there are NO CREDITS! Okay, this is a martial arts movie. One of the most effed-up ones you'll see in a genre known for effed-up movies. I'm guessing the original movie is about 5 hours. Who wants to watch 5 hours of the same morons? (me, apparently ) So it was packaged as three movies. If this doesn't help, I'll post a picture tomorrow, but if you haven't seen it, I doubt anything will help. Well, short of giving you the title(s). I'm positive it is Ninja Death. "Who did this? Who did this, Motherf**kers??" I've seen the whole trilogy. The first one is one of the most entertaining bad kung fu films you can find. The other two aren't quite as good. Yes, thank you, thank god! I HIGHLY recommend this trilogy to anyone who wants to see insane cinema. The second two are not as fun as the first one, but it is kinda like MMPR for adults without so many stupid costumes. I get the feeling it was a miniseries in China or something. It really looks like one of those Mexican soap operas. Pretty entertaining straight-to-video film. Think this should be fairly easy for some of the people on this board. 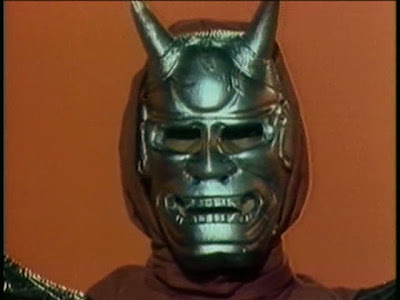 edit: also, a bit from Ninja Death III. All films have this identical intro thing, which is so awesome it boggles my mind. Nope. Here's a hint: it was released in-between the release dates of Cube and Cube Zero. The film is also Canadian in origin. You're not quite on the right track. It's more like a Running Man ripoff than a Saw ripoff. Edit for hint #2: Think reality TV.